A New Day BeginsBrilliant Sunrise lighting in Colorado. What a beautiful way to begin the day. 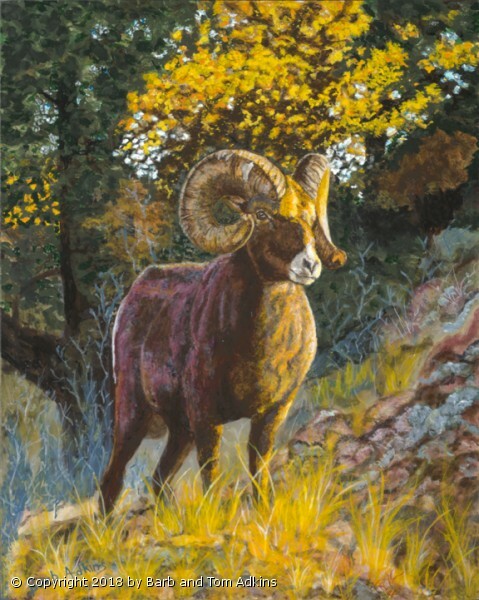 A Big Horn Ram surveys his Kingdom in early fall. What is he thinking? What is his plan? Are there rivals near by? What will he have to do to secure his place on the mountain? Tom took a wonderful photo that gave me the inspiration to paint this.